In college, I majored in psychology and minored in Led Zeppelin. Or maybe it was the other way around. As a midwestern kid who was just beginning to figure out what he wanted to do with his life, I was drawn to psychology because it promised a future of explanations: why humans did what they did, both good and bad; what the components of our minds were that determined our thoughts and feelings; and, most intriguing of all, how we might use this deepening well of knowledge to reshape ourselves and our world. In contrast, the reason I was so obsessed with music was that it defied explanation. Why did I like the bands that I did? Why did some songs make the hair on my arms stand up or cause me to involuntarily bounce, while others provoked absolute indifference? Why did music have such a powerful effect on my emotions? It spoke to some hidden reservoir of myself that I didn’t understand, but which clearly existed and was important. In 1978, after I moved to Ann Arbor, Michigan, to work on my PhD, my advisor, Robert Zajonc, would call me into his office, hold up two museum postcards with modern art paintings on them, then ask me which one I liked better. He did this for maybe four or five sets of paintings. Each time I knew right away which one I liked more, but I always fumbled for the reasons why. Bob smiled and nodded at my discomfort. “Exactly,” he said. Psychologists were starting to realize that there were hidden, underlying mechanisms that guided or even created our thoughts and actions, but we were only just beginning to understand what they were and how they worked. In other words, an important part of what makes us who we are was still beyond explanation, yet it was the source of a key part of our experience. Around this same time, in the late 1970s, a man named Michael Gazzaniga was driving around New England in a twenty-six-foot GMC motor home. One of the fathers of modern neuroscience, Gazzaniga wasn’t just taking a road trip for fun. The purpose of his travels was to visit “split-brain” patients—people who’d had their corpus callosum, the band of fibers linking the right and left hemispheres of the brain, severed in order to reduce epileptic seizures. Gazzaniga hoped to learn new things about how different regions of the brain interacted. He would pull up in his motor home and seat the patient in front of a visual display that could present some stimuli to his right brain hemisphere and other information to his left hemisphere. Typically the patient was not aware of what was presented to the right side of his or her brain, only what was presented to the left side. In some studies, the researchers would present visual commands such as “walk” to the right brain hemisphere, and the patient would immediately push his chair back from the computer table and start to leave the testing room. Asked where he was going, he’d say something like “Going to my house to get a soda.” The explanations sounded reasonable but were completely wrong. Gazzaniga was struck by how quickly and easily his patients were able to interpret and give reasonable explanations for behaviors they did not consciously intend or initiate on their own. The breakthrough insight that Gazzaniga took away from his experiments was that the impulses that drive many of our daily, moment-to-moment behaviors originate in brain processes that are outside of our awareness, even if we are quick to understand them otherwise. We all feel the subjective experience of will, but this feeling is not valid evidence of having willed ourselves to behave a certain way. We can be induced to make movements without willing them, as Dr. Wilder Penfield showed with brain surgery patients at Montreal’s McGill University in the 1950s. He would stimulate an area of the motor cortex, and the person’s arm would move. He would then warn the patient this was going to happen, and the patient would even try to stop it with his left arm, but it moved nonetheless. Conscious will was certainly not necessary for the arm movement; conscious will could not even prevent it. Gazzaniga argued that the conscious mind makes sense of our unconsciously generated behaviors after the fact, creating a positive, plausible narrative about what we are doing and why. Obviously, there is no guarantee that these after-the-fact accounts are accurate. Gazzaniga’s insight put the Delphic adage “Know thyself” in a startling new light and raised new questions about the notion of free will. On any given day, how much of what we say, feel, and do is under our conscious control? More important, how much is not? And most crucial of all: If we understood how our unconscious worked—if we knew why we do what we do—could we finally, fundamentally know ourselves? Could insights into our hidden drivers unlock different ways of thinking, feeling, and acting? What might this mean for our lives? My brother-in-law Pete is a rocket scientist. Literally. He and I grew up in small-town Champaign together, and then he, my sister, and I all did our undergraduate work together at the University of Illinois. 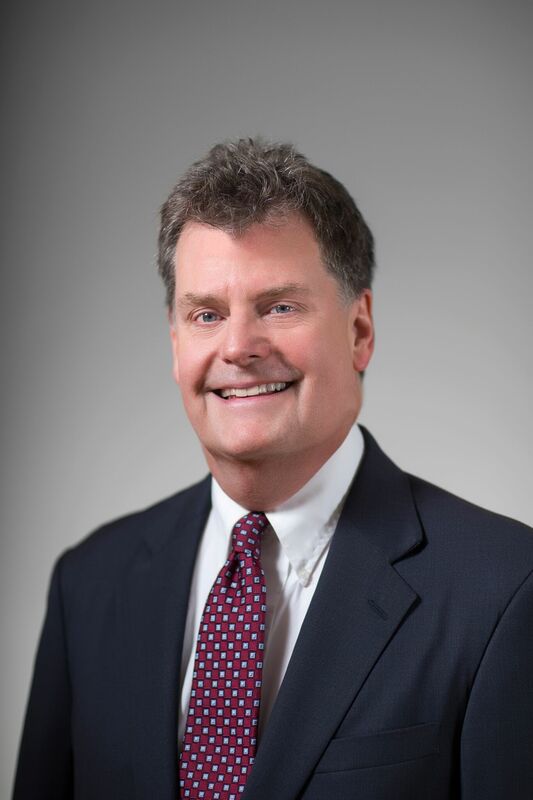 When I went on to the University of Michigan for my postgraduate work, he joined the navy and became an expert in antenna-guided missile systems. He’s very smart. I had been teaching at New York University for a few years in the 1980s when I went to spend a couple of weeks with my family at our little cabin in Leelanau County, Michigan, popularly called the “Little Finger” of the state. In the winter, this part of the country is a cold, forbidding expanse of snow-covered fields and gray skies, but during the summer it is twinkling lakes with Caribbean-colored waters, sand dunes rolling with happy kids, and smoky barbecues and fish boils set against sunsets over emphatically green trees. My dad bought our little unheated cabin when we were kids and we spent our entire summers there for many very special years. On one particular day, the lake’s surface was calm except for the occasional ripples that came from silent, unfelt winds. It was the perfect respite from noisy New York City, where I spent the other fifty weeks of the year. My brother-in-law and I were both early risers, so we sat in the screened-in living room having coffee, taking in the morning light. “So tell me about the latest and greatest findings in your lab,” he said. Exactly, I thought. That’s the whole point, isn’t it? You can’t remember any, because you were never aware of them in the first place. My rocket-scientist brother-in-law couldn’t shake his strong belief—based on his lifelong personal experience—that everything he did was a product of his conscious choice. This is totally understandable. Our experience is by definition limited to what we are aware of. On top of this, it’s bizarre and even slightly terrifying to entertain the possibility that we aren’t as firmly in control of our thoughts and actions as our consciousness leads us to believe. It’s hard to accept that there are forces moving the ship of self besides the conscious captain at the helm. To truly understand the way unconscious influences operate within us every moment of every day, we must acknowledge that there is a major disconnect between what we are aware of at any given moment and what else is going on in the mind at the same time. There is so much more going on than we are aware of. It is like those graphs of electromagnetic wavelengths in physics, from smallest to largest—we can only see a small fraction of those wavelengths, called the visible spectrum. That doesn’t mean all the other wavelengths aren’t there—just that they are invisible to us: infrared, ultraviolet, radio, X-rays, and many more. Though we can’t see those invisible wavelengths of energy with the naked eye, we do now have devices and technology to detect them and measure their effects. It is the same with our unseen mental processes: we may not be aware of them directly but science is now able to detect them, and we can learn to detect them, too—and by learning to see what is hidden, we acquire a new set of eyes. Or maybe just a new pair of prescription glasses we hadn’t realized we’d needed. (“Look at everything I’ve been missing!”) What’s more, you don’t have to be a rocket scientist to use them. Until recently, it was not possible to systematically and rigorously test how the unconscious affects our thoughts and actions. Scientists only had theories, case studies from clinical patients, and patchy experimental evidence, which naturally fueled an ongoing debate. The idea of unconscious parts of the mind, mental processes operating without our awareness, existed long before Freud. Darwin, for example, used it repeatedly in his 1859 magnum opus, On the Origin of Species, to refer to how the farmers and breeders of his day unconsciously used the principles of natural selection to grow larger ears of corn and breed fatter cows and woollier sheep. He meant that the farmers and breeders were not aware of the reason why what they did worked or of the underlying mechanism behind it—and they were especially unaware of the larger implications of the natural selection mechanism in regard to religious beliefs about the supernatural creation of the world, including all its animals and plants. Later in the nineteenth century, Eduard von Hartmann published a book called the Philosophy of the Unconscious, which amounted to nothing more than rampant speculation about the mind and its inner workings, with no data and a scarcity of logic and common sense to boot. This book became very popular and had already been republished nine times by 1884. William James, one of the fathers of modern psychology, disliked Von Hartmann’s completely unscientific account of the unconscious regions of the mind, so much so that it provoked his famous dismissal of the unconscious as “a tumbling ground for whimsies.” Yet twenty years later, after meeting Sigmund Freud for the first time and hearing him give a talk on the meaning of dreams, James was favorably impressed with the medical approach to the unconscious mind and told Freud his work was the future of psychology. James appreciated Freud’s efforts to move beyond easy armchair speculations to close clinical observations and interventions to alleviate his patients’ distress and symptoms. But then, just a few years after this first and only meeting between these two titans of psychology, James and Freud, came a seismic reaction from the scientific establishment of the time against the study of the mind. The conscious reports by participants in psychology studies about their internal experience, called introspection, were not considered reliable sources of evidence, because the same person would report different things at different times when faced with the same circumstances. (Indeed, one of the themes of this book is our human lack of accurate introspective access and knowledge about how our mind works—yet the scientists of the time were relying on their study participants to be able to report accurately on how their minds worked.) In 1913, John B. Watson famously stated that scientific psychology should therefore not attempt to study thought and conscious experience at all. The consequence of this was catastrophic. As Arthur Koestler wrote in his devastating 1967 critique of behaviorism, The Ghost in the Machine, Watson and the behaviorists had made a colossal logical error that caused the study of the mind—whether conscious or unconscious—to be excluded from scientific psychology for the next fifty years. As Koestler notes, this was a time when the other sciences, in stark contrast, were making tremendous advances. The dominant “behaviorist” school of psychology as founded by Watson argued vehemently that we were entirely the product of our environment. What we saw, heard, and touched—and little else—determined the things we did. We went through life much like rats that could learn to press a bar in order to get food. Consciousness was an illusion, an epiphenomenon that might seem real to us but played no active role in our lives. This extreme view was, of course, wrong. In the 1960s, a new paradigm came into vogue—cognitive psychology. Cognitive psychologists sought to debunk the notion that we were nothing more than sophisticated lab rats and argued that our conscious choices did matter. In giving free will back to us, however, and in fighting so hard against the powerful, entrenched behaviorist establishment, cognitive psychologists swung to the other extreme. They argued that our behavior is almost always under intentional and conscious control and rarely if ever triggered by environmental cues. This different extreme position is also wrong. The truth resides somewhere between these two poles, and can only be understood after we consider the most basic condition of existence for all life on our planet—time. The overarching premise of this book is that the mind—just as Einstein argued was true of the entire universe—exists simultaneously in the past, the present, and the future. Our conscious experience is the sum of these three parts as they interact inside one individual brain. What constitutes the mind’s coexisting time zones, however, is less straightforward than it might seem. Or rather, one layer is quite easy to identify, while the others are not. Our imagined futures, however, we can control. We actively pursue ambitions, desires, and milestones—that prized promotion, that dream vacation, that home for our family. These thoughts at play in our minds aren’t any more hidden than the past or present. How could they be? We came up with them ourselves. It is indisputable, then, that our conscious awareness feeds us a substantial, meaningful meal of experience. But much, much more is happening in the mind than is immediately visible in these three time zones. We also have a hidden past, a hidden present, and a hidden future, all influencing us before we know it. The human organism evolved with the mandate to stay alive and thereby keep reproducing. Everything else—religion, civilization, 1970s progressive rock—came after. The hard-won lessons of our species’ survival constitute our hidden past, endowing us with automatic “protocols” that persist today, though we naturally have no personal memory of the immense ancestral history that produced such traits. For example, if a bus is coming at you, you know to jump out of the way, and your nervous system helps you do so without your having to order it to start pumping the adrenaline. Similarly, if someone you’re attracted to leans in to kiss you, you know to meet that kiss. Half a century ago, Princeton professor George Miller pointed out that if we had to do everything consciously, we’d never be able to get out of bed in the morning. (That’s often hard enough as it is.) If you had to painstakingly decide which muscle to move, and do so in the correct order, you would be overwhelmed. In the helter-skelter hustle of each day, we don’t have the luxury to reflect carefully on the best response in each and every moment, so our unconsciously operating evolutionary past provides a streamlined system that saves us time and energy. As we will soon explore, however, it also guides our behavior in other important, less obvious ways—for instance, in such things as dating and immigration policy. The present as it exists in the mind also contains much more than what we consciously perceive as we commute to work, spend time with our families, or stare at our smartphones (and sometimes as we do all three at once, though I don’t advise this). My research over the years, as well as that of my colleagues, has revealed that there is a hidden present that affects nearly everything we do: the products we buy (and how many) while grocery shopping, our facial expressions and gestures when getting to know new people, our performance in tests and job interviews. Though it may seem otherwise, what we think and do in such situations is not entirely under our conscious control. Depending on the hidden forces acting on our mind’s present at any given moment, we buy different products (and in different quantities), interact with others in different ways, and perform differently. We also have our trusty hunches, instincts, and gut reactions that Malcolm Gladwell wrote about in his book Blink. The malleability of our minds in the present means that “blink” responses are in fact considerably more fallible than many of us think. By learning how they really work in our brain, however, we can strengthen our ability to recognize good and bad hunches. Then there is the hidden future. We have hopes, dreams, and goals toward which we orient our minds and lives, as well as fears, anxieties, and worries about the future that we sometimes can’t banish from our thoughts. These ideas coursing through our neural pathways exert a remarkable, invisible sway over us. What we want and need strongly determine what we like and don’t like. For example, one notable experiment showed that when women are prompted to think about finding a mate to settle down with, their disapproval of tanning salons and diet pills (ostensible ways to strengthen attraction) decrease. Why? Because we unconsciously see the world through goal-colored glasses. The tanning salons and diet pills are suddenly a good thing when our mind is unconsciously focused on becoming more attractive in order to find a mate. This invisible future also affects who we like and don’t like. If you are focused on your career, you feel a greater emotional connection with people you link to your professional goals. Conversely, if you are more concerned with having fun, a different flavor of person will attract you. In other words, friends—as well as other aspects of life—are often a function of our unconscious goals, our hidden future. Examining how our desires can stealthily influence our lives allows us to better arrange our true priorities and values. Past. Present. Future. The mind exists in all time zones at once, both its hidden operations and its visible ones. It is a kind of multidimensional time warp, even if it gives us a feeling of smooth, linear experience. None of us, not even the most adept practitioners of meditation, is ever only in the present. Nor would we want to be. In essence, the mind operates much like the stereo equipment I used while deejaying at WPGU in the 1970s, except the overlays are much trickier and the sound mixers have more active inputs. It is as if three songs are always playing. The main song (the present) plays the loudest—let’s say “Heartbreaker,” because it’s Zeppelin at their best—while the other two (past and future) are constantly fading in and out and slyly changing the overall sound. The slippery nuance is this: in the hidden depths of your mind, there are important lyrics, melodies, and backbeats that you aren’t aware of. Even when they are most strongly altering the overall character of the song you’re listening to, you rarely know to listen for them. The aim of this book is to put you inside the DJ booth of your mind so that you hear better what is really going on and can start controlling the music yourself. Humanity’s long journey toward understanding the unconscious mind has taken us in a number of erroneous, if quite imaginative, directions. In the Middle Ages, when people exhibited any strange behaviors, such as talking to oneself or seeing visions, it was believed that the devil or an evil spirit possessed them. After all, religions taught that human beings were created in God’s image, and God did not go around babbling to himself. Early in the seventeenth century, the philosopher René Descartes (famous for the aphorism “I think therefore I am”) located the human soul—our supernatural, godlike quality—in our conscious minds. The cause of socially unacceptable behaviors, therefore, could not be the person’s godlike consciousness; it would have to be an external force that took possession of a person’s physical body. Nearly three centuries later, around 1900, the scientists Pierre Janet, in Paris, and Sigmund Freud, in Vienna, independently argued that psychological maladies had natural, physical causes. Freud and Janet were the original psychiatrists. In their separate hospitals and practices, they treated patients who had psychopathologies such as split-personality disorder and tried to formulate an explanation for where these disturbances originated in the physical mind. Janet chalked up mental illness simply to abnormal functioning in the brain, whereas Freud concluded that these pathologies were produced by a separate, unconscious self that lived inside these mental patients. But then he went much further, and insisted—and quite dogmatically so—that this separate unconscious mind existed within each and every one of us, not only in mental patients. Freud demanded that his acolyte Carl Jung and others accept his theories as dogma, almost as revealed truth, and not as hypotheses to be put to scientific test (as Jung then proceeded to do anyway). And so, while his emphasis on unconscious drives was without question a ground-shaking insight, in effect Freud demonized the unconscious operations of the normal mind, claiming that each of us harbored a separate unconscious netherworld of dark, twisted urges that we could exorcise only through psychotherapy. Janet, who studied the same phenomena, strongly disagreed, but as we know, it was Freud’s theories that became embedded in popular culture, where they still largely remain. In his extensive and detailed theorizing, Freud presented the unconscious mind as a seething cauldron of maladaptive complexes bent on causing us trouble and grief, which could only be overcome through the intervention of our conscious mind (with the help of a good psychiatrist, of course). And Descartes had held that our conscious mind was our godlike quality, the physical unconscious mind representing our base, animal nature. The legacies of Descartes and Freud persist to this very day, even in some branches of scientific psychology. In short, what is conscious is good, and what is not conscious is bad. This is a convenient oversimplification that is also completely, inconveniently wrong. Why do we cling to this belief and cherish it so much? I think in large part it is because we so want to believe it; after all, consciousness is our very own superpower that sets us apart from all the other animals of earth. Just take a moment to look at the plot and characters (Avengers, Batman, Spider-Man) in children’s TV shows, or Hollywood movies, not to mention all of the TV shows for adults in which the protagonist has special mental powers or abilities. We yearn to be like those movie and television characters, to have a special advantage over others, to have these powers to right wrongs, to wreak revenge, to come to the rescue of our family and friends and the downtrodden in society. These are wonderful, satisfying escapes for us from the realities of our lives, and we spend good money and much of our valuable time to be entertained by these media fantasies on a regular basis. We want these superpowers so badly that we are understandably reluctant to give up believing in the one we do have (consciousness) that other animals don’t. So we are motivated to believe that our conscious mind is the source of good, and also motivated to blame the unconscious workings of the mind for what goes wrong, what is bad. When we do something others frown upon, we say “I didn’t mean it” or “I didn’t mean to,” and come up with extenuating causes or reasons for our behavior other than “Yeah, I meant to do that, and I wish I hadn’t gotten caught.” One way to show yourself that you do often acknowledge other causes of your behavior besides your conscious intent is to appreciate that you invoke just these other causes when you don’t want to take ownership (blame) for your actions. Suddenly, you do believe that your actions can be caused by something other than your conscious intentions. But if you are honest with yourself, you will recognize that this principle should be applied just as much to your positive behaviors as to the ones you’d prefer to disown. But today, thanks mainly to the advent of cognitive science and the new methods it has made available, we have entered the era of the new unconscious. We now know that the unconscious is not a second mind within us playing by its own rules. We have scientific theories about how the mind of the average person works, and we test these hypotheses with experimental data based on the responses of average people, so we can more safely generalize about the average human mind than could Freud, who based his theories on case study evidence from a much smaller number of atypical patients who had major mental and emotional problems. Brain imaging studies have revealed that unconscious psychological processes make use of the very same brain regions and systems the conscious mind does: “The Song Remains the Same,” as it were. We have a single, unified mind that operates in both conscious and unconscious modes, always using the same set of basic machinery, fine-tuned over the course of evolutionary time. The hidden mind—the mental processes operating outside our knowledge and intention—exists to help us, though it does have an array of complex effects that we will benefit from understanding. These essentially unconscious mental processes are what I have spent my forty-year career studying. In the summer of 2003 I moved from NYU to Yale. When I arrived, my colleagues and I christened our lab the Automaticity in Cognition, Motivation, and Evaluation Lab—ACME, for short. The acronym is a telling one (though I admit I’d first wanted to name the lab ACME, for reasons soon to become clear, and only then came up with what the initials stood for). The word acme means “peak” or “zenith,” and many of us think that our conscious mind is the high-water mark of perfection, the “Crown of Creation” (which is a Jefferson Airplane, not a Led Zeppelin, song). While it is indeed the culmination of a 3.6-billion-year evolution of life, that wasn’t the real reason I wanted to name it ACME lab. Many of you may remember the old Road Runner cartoons in which the rapaciously hungry Wile E. Coyote chased the innocent Road Runner down endless desert highways. The Acme Corporation was the purveyor of all of the oddly specific contraptions and explosives Wile E. used to hunt his prey. (Indeed, our lab’s website includes a link to a catalog of all those fine Acme products.) In the end, however, these contraptions always managed to explode or otherwise backfire. In a certain sense, the Road Runner is our speedy and smarter-than-we-think unconscious mind, and Wile E. Coyote is our scheming and not-as-smart-as-he-thinks conscious mind. We often make Wile E. Coyote’s mistake of thinking that we are so cunning and clever, and as a result our conscious plans often get blown to smithereens. The thing is, in life this is rarely as funny as it is in cartoons. Or rather, it is often funny when it happens to somebody else in real life, not so much when it happens to us. Speaking of real life, in designing the experiments I’ve conducted in my lab, I have aimed to make the experimental situation as natural and realistic as possible. Being a participant in a psychology experiment is an odd experience, since you know that you are being evaluated by a psychologist, an expert on human thinking and behavior. (In college, I participated in a dozen psychology experiments myself, and was always expecting someone in a white lab coat to come out and stare at me after I was done, shaking his head and groaning like Lurch in The Addams Family.) This can make people somewhat wary, causing them to think more than usual about what they are doing, and to try to present themselves in the most favorable light. But as psychological scientists we don’t want to study how people act when they are on their guard. We want to know what happens out in the real world when people aren’t self-consciously modifying their behavior. So over the years, we have designed many of our studies to collect information in ways our participants don’t realize are part of the actual study at all. For example, we have studied the effects of power and powerlessness by having volunteers come into a professor’s office (mine) where I casually assign them to sit in either the big leather professor’s chair behind the large desk (high power), or the rickety student’s chair in front of it (low power). In another study, we timed how long people took to walk down a hallway leaving an experiment, after they thought the experiment was already over. And in a third, the experimenter casually asked participants to hold his hot or iced coffee for a moment so he could reach into a folder and get a questionnaire for them to fill out: his giving them a warm or cold sensation without their noticing it was part of the actual study. In these ways, we increase what is called the “ecological validity” of the experiment, the likelihood that our findings will also occur in the real world outside the laboratory. And after decades of such research, experiment after experiment has shown that the unconscious isn’t an impenetrable wall, but a door that can be opened, and to which science holds the key. Like my brother-in-law, people who first hear about the power of unconscious influences often fear that they do not have free will or control over their lives. But ironically, refusing to believe the evidence just to maintain one’s belief in free will actually reduces the true amount of free will that person has. It is those very people who deny the mechanics of suggestibility or the possibility of influences they are not aware of who are most vulnerable to being manipulated. And paradoxically, perhaps, it is through recognizing the existence of unconscious forces, and the limits to our free will, that we can actually increase the free will we do have. If I am aware, for example, how the events of my day at the office can influence how I react to my five-year-old running up to me when I come in the door at home, I can take steps to control that influence and react to this joyous if mundane occasion as I truly wish to. If I am not aware, I may well mistake my grouchy reaction as being caused by her, and soon regret how I reacted. We, as human beings, have a real and meaningful need to feel that we are the captains of our souls, and that we have control over the outcomes of our lives. If we thought we had no agency, why would we even try? The fact that there may be influences on us that we do not know about only means we have less intentional control than we used to believe we had, not that we have no control. Just think how much more control you can gain by recognizing and taking account of these influences, instead of pretending they don’t exist (and so allowing them to control you). After all, real ship captains do not have complete control over where their ship goes. They must take into account other forces, such as the ocean currents and the direction of the wind. They don’t just point their bow toward a distant port and sail in a straight line. If they did so, they would crash into the rocks or drift farther out to sea. Rather, the captain adjusts and accommodates to work in concert with these powerful elements that affect the ship’s course. Golfers do this all the time as well. If there is a strong crosswind they do not aim directly at the hole but take the wind into account. If you learn to adjust for the unconscious currents and crosswinds operating on you, then you will play your life better than I play golf, which is not very well at all. This book is about discovering those currents and crosswinds. In the first section, we’ll look at our hidden past, and see how we are influenced today by our ancient evolutionary history, our largely forgotten early childhood, and the culture we grew up in. This long-term past—most of which we have no memory of—affects our conscious experience of the present in startling ways. It can affect how we vote in political races, how many friends we have in grade school, and even how well we do on a math test. Our short-term past, what we did in the last hour or two, can also stealthily change what we do across diverse circumstances, causing us to spend more money than we want, eat more, or unfairly judge someone’s work performance. The hidden past can even affect your future employment and the salary you’re able to negotiate—all depending on what kind of drink your prospective employer is holding in his or her hand, or the type of chair they’re sitting in. In the second section, we’ll look at our hidden present—the ways in which we are being influenced by our snap judgments and “thin slices.” We’ll learn when we can trust our gut, and when it is better to sleep on our blink responses. We’ll learn why it is almost impossible to be neutral in our judgments of others (or anything), yet how this same tendency to divide the world into “good” or “bad” can be harnessed to significantly lower the relapse rate for alcoholism. Our present is shockingly supple, and we’ll see how the sight of graffiti can turn an otherwise law-abiding citizen into someone who litters, and why the longer you live with your spouse or partner the more you will come to look like them. We’ll also investigate how a simple status update on your part can affect the mood of your Facebook friends for up to three days, and why you might want to record the Sunday afternoon football game you watch with your kids, instead of watching it live. In the third and last section, we’ll look at the hidden effects of our future plans, and focus on the latest research on unconscious motivation. Our goals and desires exert powerful influences over us, so we do need to be careful about what we wish for, but they can also spur us on in unexpected ways. We’ll see how students can be induced to perform better on verbal tests by simply thinking about their mothers. We’ll also explore how to get our minds to work unconsciously to help solve problems for us (even while sleeping), and how to use our newfound knowledge of the hidden mind to help us reach elusive goals. We’ll learn the art of implementation intentions, which have been shown to help the elderly remember to take their medication, yank people off the couch to start exercising, and motivate young men to profess their love for their fathers without embarrassment. When I talk to nonscientists about my work, they tend to wonder which is the “real” them, their conscious or their unconscious self. Some people think that the conscious self is the true self, because it reflects a person’s intentions and what he is aware of doing. Others think that the unconscious self is the real self because it reflects what the person really believes down deep, not just the version of themselves that they want to present to the world. But the real answer is “both.” We need to expand our idea of who is the “I.” Just like Descartes, many of us identify with our conscious mind only, as if the adaptive unconscious that serves us so well under most circumstances is some kind of alien life-form that has invaded our body. The unconscious can lead us astray if we are not aware of its influence, but remember, it evolved and exists because it helped us to survive and to thrive. (One of the big knocks on Freud’s version of the unconscious is that it is very difficult to see how such a maladaptive system could have evolved through natural selection processes.) Likewise, our conscious mind also evolved as a kind of steering wheel to allow for additional, strategic control of the unconscious mechanisms. Only when we actively integrate both the conscious and unconscious workings of the mind, and listen to and make good use of both, can we avoid the pitfalls of being blind to half the mind. In other words, it isn’t a question of which is our real self, because both of them are. We can’t truly know our complete selves without knowing the unconscious part and understanding how it shapes our feelings, our beliefs, our decisions, and our actions. The unconscious is constantly guiding our behavior—even though, like Gazzaniga’s split-brain patients, we may strongly believe otherwise. Usually it helps, sometimes it hinders, but ultimately its primary purpose is to keep us safe, and to this end it never sleeps and it never rests. We can’t turn off the unconscious mind, nor would we ever want to. When you come to understand the fascinating yet simple reasons behind why you do what you do, and how your past, present, and future minds influence you before you know it—well, the hidden mind is not so hidden anymore. Robert Plant sings in one of the first Zeppelin songs, “Been dazed and confused for so long . . .” I could relate to that feeling back then, and I suppose it is why I chose the career path that I did, and the research I conduct. This is where Led Zeppelin and psychology both led me—to an appreciation of the forces that move us so profoundly, there, just below our consciousness. I sometimes still feel dazed—that’s part of life—but a whole lot less confused, especially since my encounter ten years ago with a certain green-eyed alligator. Is Meeting Over Social Media Better Than Meeting in Real Life? 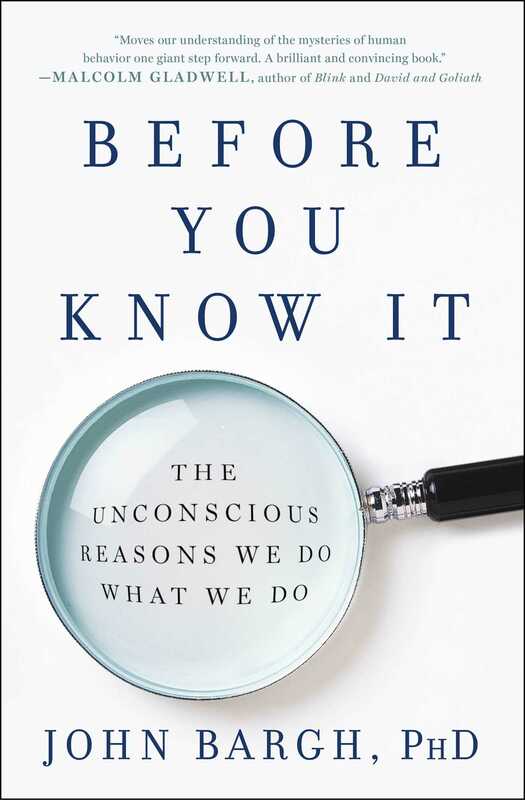 "John Bargh's Before You Know It moves our understanding of the mysteries of human behavior one giant step forward. A brilliant and convincing book." “This fascinating journey through the inner workings of the human mind reveals how our conscious thoughts and unconscious motives intertwine to shape who we are. An entertaining and intelligent book will change the way you see yourself and the world around you." "This book is a 'must read,' not only because it is about a fascinating topic—the nature of the unconscious mind--but because it is an engaging and accessible book by the scientist who did the groundbreaking research. Everyone should read it." "Before You Know It is a fascinating volume with clear and understandable explanations of the ubiquitous role our subconscious plays in our daily actions, and why this is so. It is one of the best books on psychology to have come on the market for many years. It is serious yet humorful, a joy to read, and a volume that makes us reflect on our own actions. This book will be of great interest to both scientists and the general public." "Backed by interesting science and experimental findings, all ably reported. Pop and academic science with a dose of self-help, all rolled up into a satisfying package." "About the eye-opening extent to which our actions are dictated by forces within us to which we are almost entirely oblivious."